For all press inquiries, please visit our media page or contact media@mukwegefoundation.org. The easiest and fastest way to give is to use our online form. If you prefer a bank transfer or have questions, please visit the page on how to make a donation. 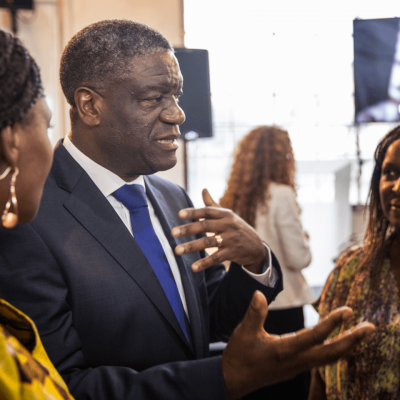 The Dr. Denis Mukwege Foundation holds ANBI (Algemeen Nut Beogende Instelling/Public Benefit Organisation) status.